For twenty-four years, the staff at the W&OD Railroad Regional Park has been collecting copies of photographs, news articles and documents pertaining to the Washington & Old Dominion Railroad. Preserving the tangible evidence of this railroad has been part of my job and one of the missions of the Northern Virginia Regional Park Authority (NVRPA). As I searched for information, discovered photographs and interviewed people associated with the W&OD Railroad, its rich history gradually became my passion. This site is devoted to showcasing just a few of the over 2000 photographs which reside in the collection of the NVRPA. Most of them have never been published in the two books written about the W&OD or used in the trailside exhibit program being developed. I would like to express my deep appreciation to those individuals who have allowed the duplication of their photos so that future generations may understand how important this railroad was in the development of Northern Virginia. 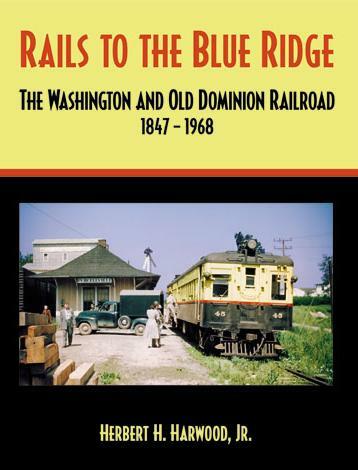 If you are interested in learning more about the Washington & Old Dominion Railroad, a good starting point would be Rails to the Blue Ridge by Herbert H. Harwood, Jr. This book was republished in 2000 by the NVRPA in cooperation with the author, who rewrote and updated his first version, published in 1963. He also tripled the number of photos and graphics in this volume, including a few of the photos you see on this site. Read a review of this book from the January 2001 issue of TRAINS magazine. A documentary about the W&OD Railroad is also available is VHS and DVD formats. Alexandria to the Blue Ridge is an hour-long program that tells the story of the railroad using old photos of the W&OD dating to the Civil War, film footage from the 1930's and interviews with former employees, passengers and W&OD historians. Both the book and the documentary are available at the Northern Virginia Regional Park Authority online store at http://www.nvrpa.org/merchandise.php. This site is privately owned by Paul McCray and all photos are used by permission of the NVRPA. Wherever possible, photos are identified by the photographer's name and the identity of the person who made copies available to the NVRPA.